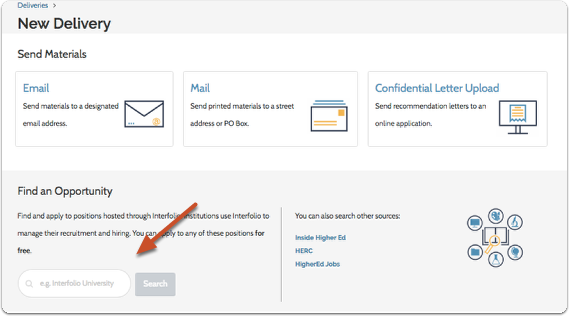 SupportHelp for Interfolio ProductsHelp for Medical and Dental School Applicants Using Interfolio How can I use Interfolio's Dossier Deliver for my medical or dental school application? 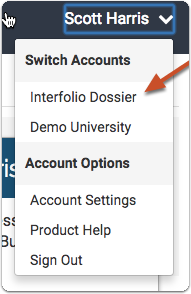 First, you will need to create a free account with Interfolio's Dossier service, and then upgrade to Dossier Deliver (annual fee of $48 for 50 deliveries). With Dossier, you can collect, store and manage all of your letters in one place. 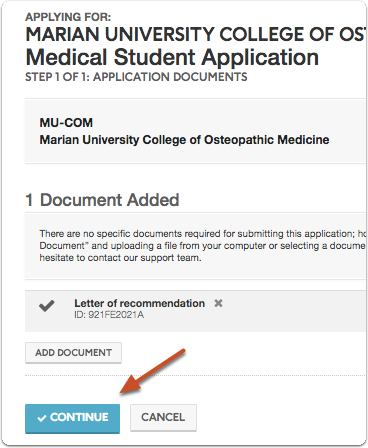 With Dossier Deliver, you can send confidential letters and other materials to medical school applications. We partner with some medical schools and associations such as AMCAS, AACOMAS, AADSAS and TMDSAS to make letter management easier for you. Get notified if your letters don't have a signature or letterhead BEFORE you need them. 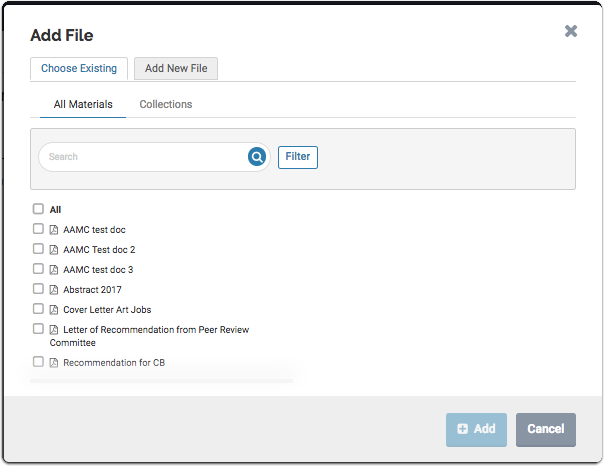 We partner with AMCAS and some schools to make letter management easier for you. 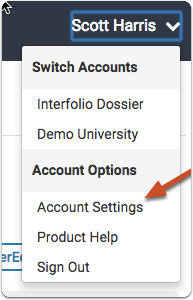 See this article for more information on getting started: Create Your Free Interfolio Dossier Account. 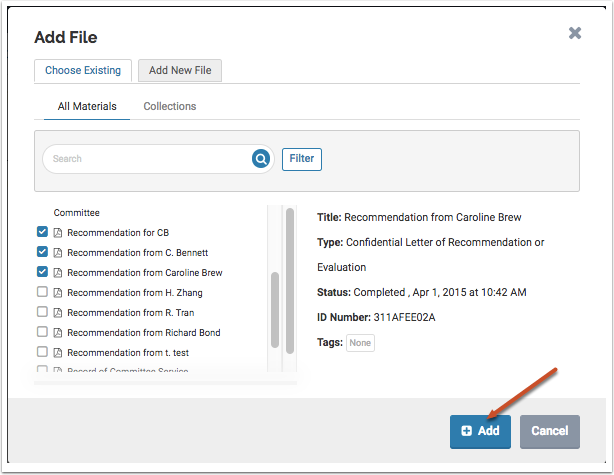 If you have letters of recommendation stored in your Dossier account, with an upgrade to Dossier Deliver, you can have Interfolio upload your letters directly to your AADSAS application as a confidential letter upload. We'll steer you to a unique Interfolio email address generated for each confidential letter of recommendation stored in your account. You'll substitute this email address for your letter writer's email address in the recommendation letter section of the AADSAS online application. 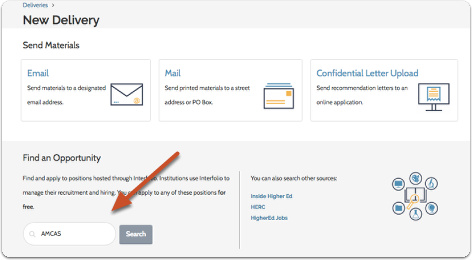 Typically, you only need to deliver each letter once from Interfolio to AADSAS, regardless of the number of dental schools you're applying to. The cost to you is 1 delivery credit per letter, and the processing time is 1-3 business days from when you submit the delivery from your Dossier account. 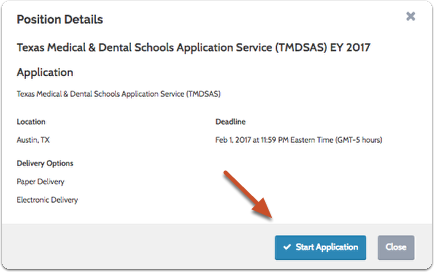 Previously, AADSAS required applicants to submit their recommendations with accompanying "matching forms." 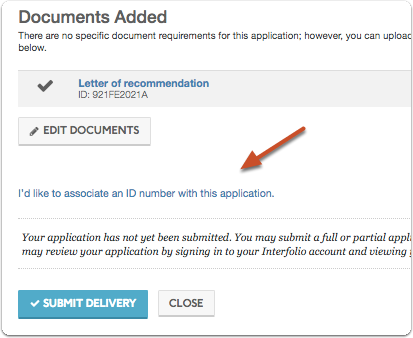 However, applications occurring within the 2016-17 application cycle and beyond will **not** require such matching forms. Instead, you'll simply follow the steps found in the link below to have your recommendations submitted to AADSAS. 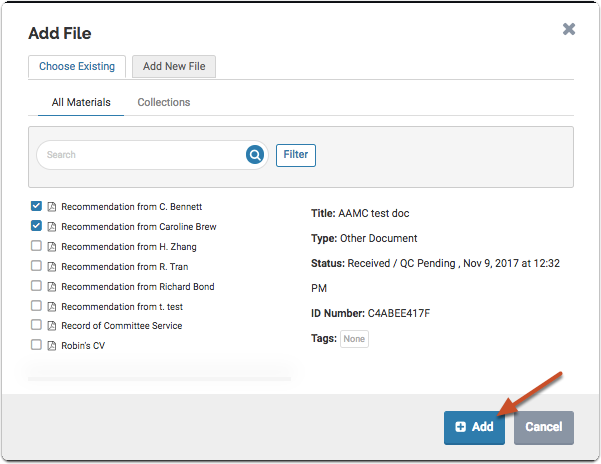 If you have letters of recommendation stored in your Dossier account, with an upgrade to Dossier Deliver, you can have Interfolio upload your letters directly to your AACOMAS application as a confidential letter upload. We'll steer you to a unique Interfolio email address generated for each confidential letter of recommendation stored in your account. 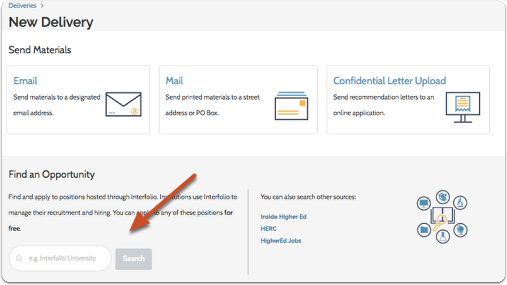 You'll substitute this email address for your letter writer's email address in the recommendation letter section of the AACOMAS online application. 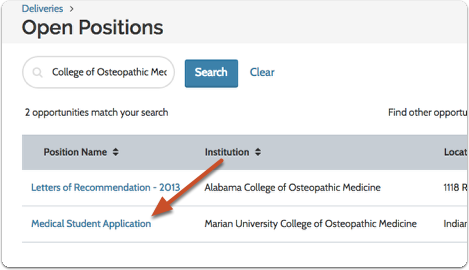 Typically, you only need to deliver each letter once from Interfolio to AACOMAS, regardless of the number of osteopathic schools you're applying to. 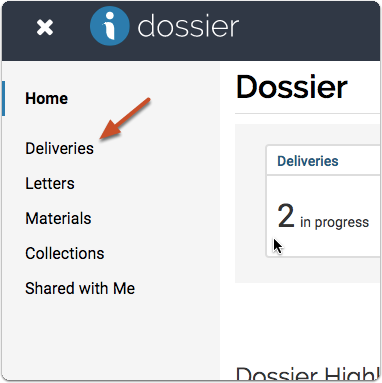 With a subscription to Dossier Deliver, you can send the letters you have collected to the schools where you are applying. Please follow these steps to send your letters. 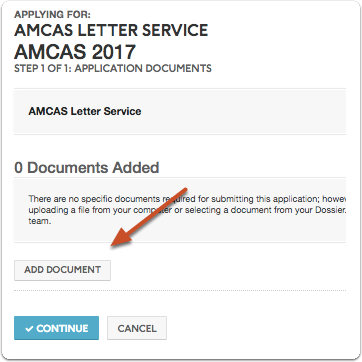 Please note that beginning with the 2016 application cycle, you can send your letters to AACOMAS centrally using Interfolio's online application delivery service. See here for more information on How do I Add ID Numbers to My Delivery? After choosing your destination and letters for the delivery, click I'd like to associate an ID number with this application and select your AACOMAS ID. If your IDs do not match correctly, we will not be able to correctly sync your delivery to your AACOMAS application. 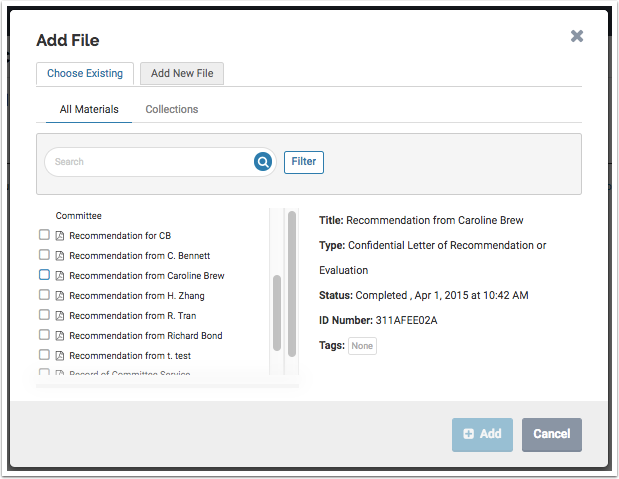 With an upgrade to Dossier Deliver, you can send letters of recommendation with your TMDSAS application. You can find the full TMDSAS application instructions at https://www.tmdsas.com/medical/application-instructions.html. Follow the steps below to complete an electronic delivery to TMDSAS. 3. 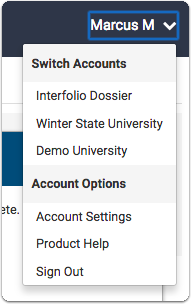 Select "Interfolio" from the drop-down menu for the question: "Indicate how your evaluator will send your letter to TMDSAS"
For help adding your TMDSAS ID, check out the article Adding ID Numbers to Your Deliveries. Your evaluator does not need to include the TMDSAS ID number on their letter if they are submitting it to Interfolio. 5.1. 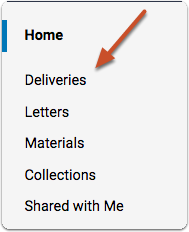 From your dashboard, click "Deliveries"
Note: After adding your documents, be sure to add your TMDSAS ID to your delivery before you process it. 10. 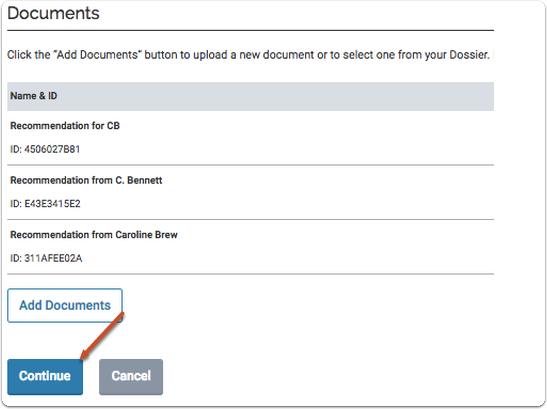 You can choose a document from your Dossier or upload a new file. 13. 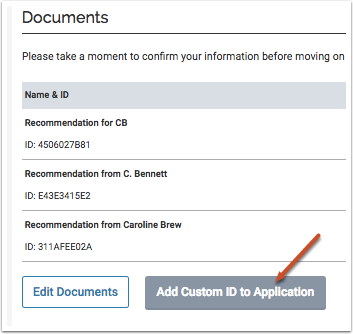 Add or select your TMDSAS ID to include it in your delivery by clicking "Add Custom ID to Application"
Your AAMC ID (found in your AMCAS application). 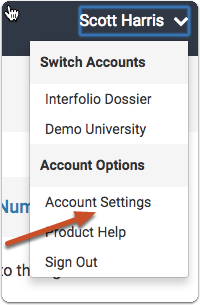 Before you start a new delivery to AMCAS, be sure to save your AAMC ID in your Interfolio Account Settings. For help adding your IDs, check out the article How Do I Add ID Numbers to My AMCAS Deliveries? A 7-digit AMCAS Letter ID (provided through the application) for each unique letter you’re sending to AMCAS. 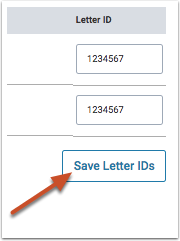 You’ll need to match each unique letter ID to its corresponding letter during the delivery creation process. Note: AMCAS has 3-5 days to post a letter to your account once we send the delivery from our side. See here for more information on adding ID Numbers to your AMCAS deliveries. 10. 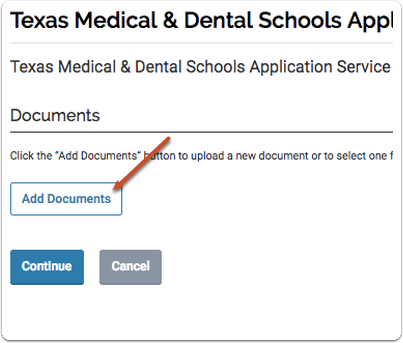 Confirm the documents you have selected and then click "Continue"
If your IDs do not match correctly, we will not be able to correctly sync your delivery to your AMCAS application. AMCAS has 3-5 days to post a letter to your account once we send the delivery from our side. For help with your AMCAS recommendation section, visit the AMCAS FAQ page. 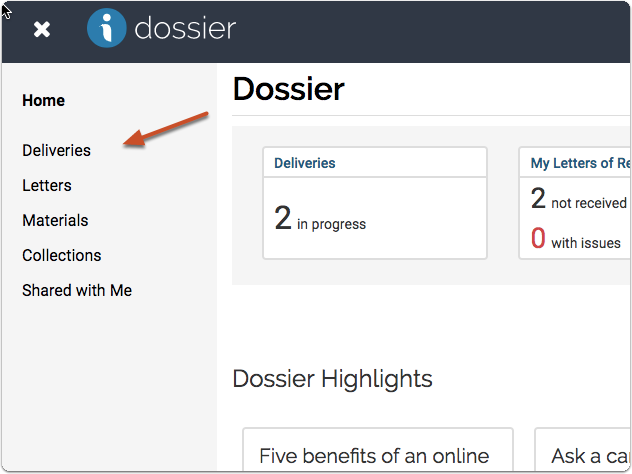 Next: About: Cost or price of using Interfolio's Dossier?